Preventative dentistry is the key to a lifetime of good dental health. It’s important to have regular oral hygiene appointments and dental examinations to fight decay, prevent cavities and disease and detect potential problems early. 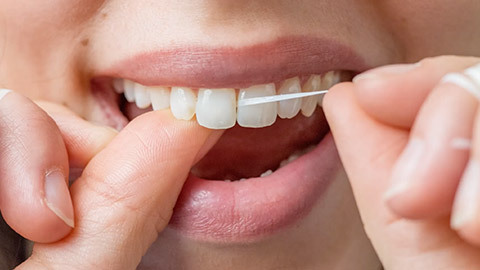 You should brush and floss your teeth after every meal to keep them free from plaque and bacteria. But even with regular brushing, plaque and tartar can form on your teeth, especially above your gum line. The American Dental Association recommends regular professional cleaning by a hygienist to remove plaque and tartar and prevent tooth decay. When we clean your teeth, we use a scaler to remove tartar and plaque. We’ll follow up the scaling by polishing your teeth with a special toothbrush, and then we may apply fluoride treatment to protect your teeth from decay. When you come for an oral hygiene appointment, Dr. Schron will examine your mouth and teeth. He’ll check for early signs of decay, symptoms of gum disease and oral cancer, and any injuries to your teeth and gums. We may also take X-ray images of your jaws to assist in the examination. Book a preventative dentistry appointment by calling our office today.